Amazon is buying online pharmacy PillPack — a move that could disrupt the drug store business. Amazon (AMZN) was widely expected to move into the pharmacy business. 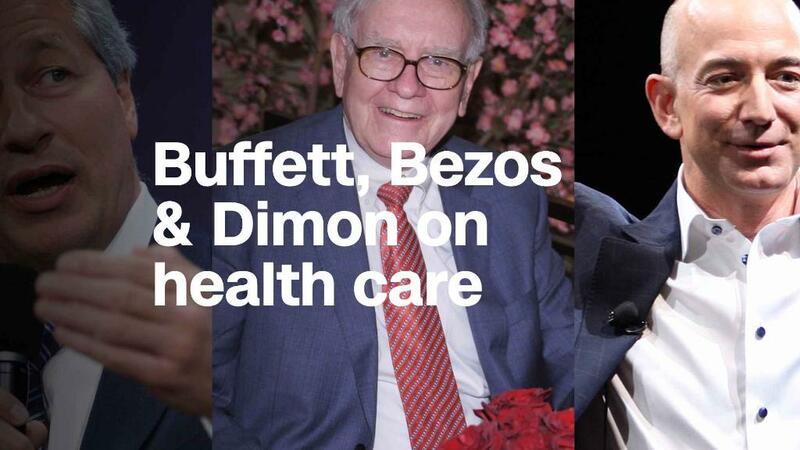 And Amazon CEO Jeff Bezos, the world's richest man, is creating a health care company along with JPMorgan Chase (JPM) and Warren Buffett's Berkshire Hathaway (BRKA). CVS (CVS) fell 9% in early trading. Walgreens Boots Alliance (WBA), the newest Dow component, plunged more than 10%. Walgreens was already trading lower after reporting a drop in same-store sales at its US pharmacies. Rite Aid (RAD) shares also fell, as did the stocks of big drug distributors Cardinal Health (CAH) and AmerisourceBergen (ABC). It's not clear yet just what Amazon plans for PillPack. Will it eventually merge it into a broader health care platform on Amazon or keep it independent as it has done with other subsidiaries like shoe retailer Zappos and video site Twitch? Walgreens doesn't seem too worried. During the company's earnings call Thursday morning, Walgreens CEO Stefano Pessina said in response to a question about the PillPack deal that the pharmacy business is "much more complex than just delivering certain pills or certain packages." Pessina added that physical pharmacies "will continue to be very, very important in the future." The PillPack acquisition comes just a week after CVS announced it will start delivering prescriptions to people's homes — a response to growing competition from PillPack and Capsule, another online pharmacy startup. The health care industry is also in the midst of merger mania. CVS is buying insurer Aetna for while Cigna (CI), another insurer, is scooping up pharmacy benefits manager Express Scripts (ESRX). Both deals are valued at nearly $70 billion. Those deals were announced after two mega insurer mergers were blocked by federal judges early last year on antitrust grounds. Aetna had hoped to combine with rival Humana (HUM) while Cigna was planning to merge with Anthem (ANTM).